The bottom view of a goblin shark’s head and mouth, photo by Charlott Stenberg. 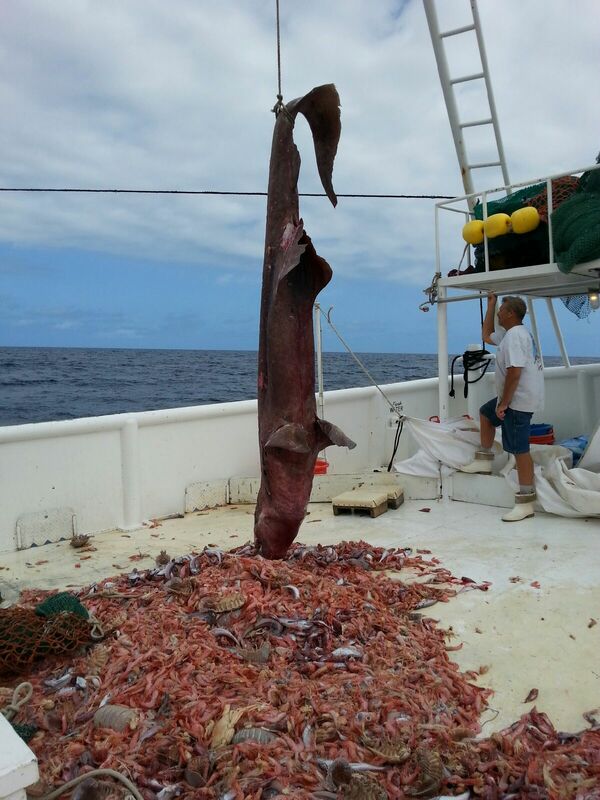 “NOAA biologists encourage people to call and report these rare sightings and catches, as the information they can collect allows them to know more about a species,” according to the official statement about this goblin shark by the National Marine Fisheries Service, After taking the photographs shown above, Carl Moore quickly released the goblin shark, which swam away. This story spread without all of the correct information, initially resulting in several colleagues and I believing that Moore still had the shark and that it was possible to get samples for research projects. I am glad that this rare shark was released alive and reported to the proper authorities, and I will be writing a follow-up post soon explaining what to do if you catch a rare fish that does not survive. Such a specimen could benefit numerous ongoing research projects and help scientists to better understand a little-known animal. Wow! This is a big deal! 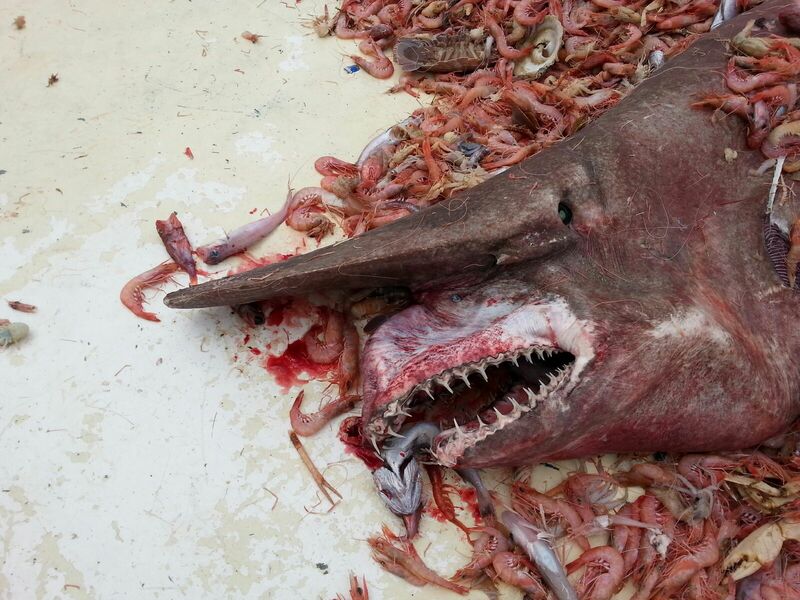 I knew what goblin sharks were before this and I knew that we didnt know much about them, but this is crazy! I didnt know we only saw one in 2000! Well done for putting it back into the sea and not giving it to the scientists – hopefully these creatures that only a mother could love may increase in numbers. We do so much damage all around our planet – every little action helps. Released alive? In the pictures it looks pretty dead. I wasn’t there. The fisherman says it was released alive.